For more than eight decades, families in the Easton, PA-Phillipsburg, NJ area have turned to Finegan Funeral Homes to assist them in their time of loss. We value that trust and remain committed to providing funeral services, in a warm, comfortable setting, that respect the family’s wishes and honor your loved one. Finegan Funeral Home is family owned and operated. We continue the tradition of service begun in 1931 by founder John T. Finegan and carried on by his son, James T. Finegan, Sr. Today, brothers John M. Finegan, Sr. and Jeffrey E. Finegan, Sr., grandsons of our founder, remain committed to providing a funeral for your loved one that is a fitting tribute. 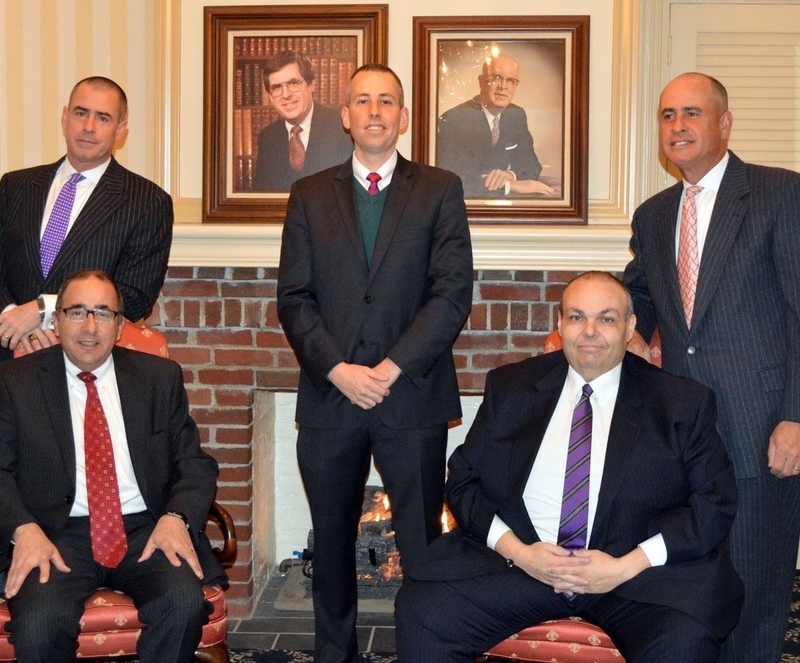 In 2015, John M. Finegan Jr., joined the firm, representing the fourth generation of the Finegan family. Our goal is to relieve the family of as much of the burden of planning as possible. For your convenience, we now have three funeral homes, including Palmer Twp., PA; Phillipsburg, NJ; and Alpha, NJ. The same staff services all locations. Standing left to right, Jeffrey E. Finegan, N.J. Lic.No. 3706. Also, a licensed Funeral Director in Pennsylvania. John M. Finegan, Jr. N.J. Lic. No. 5229, John M. Finegan, Sr. Manager, N.J. Lic. No. 3777. Also, a licensed Funeral Director in Pennsylvania.